Home / Blog / RSFirewall! - WordPress Edition! Following the continued success of our Joomla! 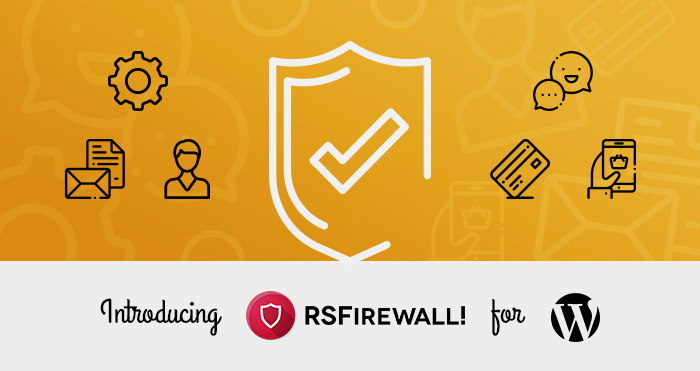 ventures, this start of August brings us to the next step in our journey as developers: branching out to WordPress with our security component, RSFirewall. When building your online image you are vulnerable to many different threats, from privacy invasions to actual hackers cracking your security. RSFirewall! for WordPress helps you protect and monitor your site and online business through active scanners, automatic blacklists, website traffic control and also server side security recommendations that will strengthen your defences. The System Check is an on-demand scanner that performs an extensive scan of your WordPress installation. The scanner is divided in 3 main sections: WordPress Configuration, Server Configuration and File Integrity. Aside from checking your current configuration, the scanner will also provide helpful insights on how to correct the discovered vulnerabilities. The System Logs feature offers administrators a full overview of the security events that take place, all intrusion attempts can be recorded for reviewing at a later date. In case of an emergency you can completely Lockdown your website and prevent new plugins from being installed, new users being recorded and also make sure that your current user accounts cannot be modified in any way. This will make sure that no further damage can be done to your site and you can start the repair process without worries. These are just a few of the powerful features available in RSFirewall!, you can discover the rest through our online documentation link below. If we have managed to convince you, the plugin can be purchased using the buy link below or through the product page.